The FDA oversees products that make up about 20 percent of the American economy. Speculation about Califf’s replacement has centered mainly on critics of the agency’s evaluation of medicines. For example, one name that has surfaced is hedge fund manager Jim O’Neill, an associate of libertarian investor Peter Thiel. O’Neill said publicly in 2014 that the FDA should only evaluate drugs for safety, then let the open market determine whether a drug actually works. Debates about how to balance risk and benefit of a drug are nothing new to FDA. The final years of the Obama administration have seen more flexible regulation of certain drugs—for desperate cancer cases, for example. In one of the most controversial episodes at FDA in recent years, Califf allowed the drug eteplirsen (Exondys 51) to come to market last year despite FDA staff protests that the key study, which gathered data from 12 patients, provided an inadequate level of clinical evidence. The drug, from Sarepta Therapeutics (NASDAQ: SRPT), is a treatment for a variant of the rare Duchenne muscular dystrophy. Patient advocates pushed hard for the approval, and the FDA’s top drug evaluator, Janet Woodcock, overruled her staff’s negative view of the drug. Califf supported Woodcock’s call and allowed the drug to come to market. Califf didn’t address the eteplirsen controversy this morning, but he acknowledged the power of patient groups. “If I had a disease with an ineffective advocacy group, I’d be worried right now,” Califf said, noting groups’ impact on research decisions and regulatory considerations. He also warned, however, that patient groups, which often take funding from drug companies, can end up doing their funders’ bidding. “There’s a bad history of advocate groups funded by companies,” Califf said. Public Citizen released a report last year showing that a majority of patient groups publicly opposing a Medicare B proposal to reduce drug costs—110 out of 147 total—received Big Pharma funding. The omnibus 21st Century Cures Act, which Obama signed into law last month after overwhelming Congressional support, directed the FDA to use more patient input in its decisions. Critics like Public Citizen, Sen. Bernie Sanders (I-VT), and others considered the Act’s regulatory changes beneficial mainly for drug and device companies looking for less oversight of their products. 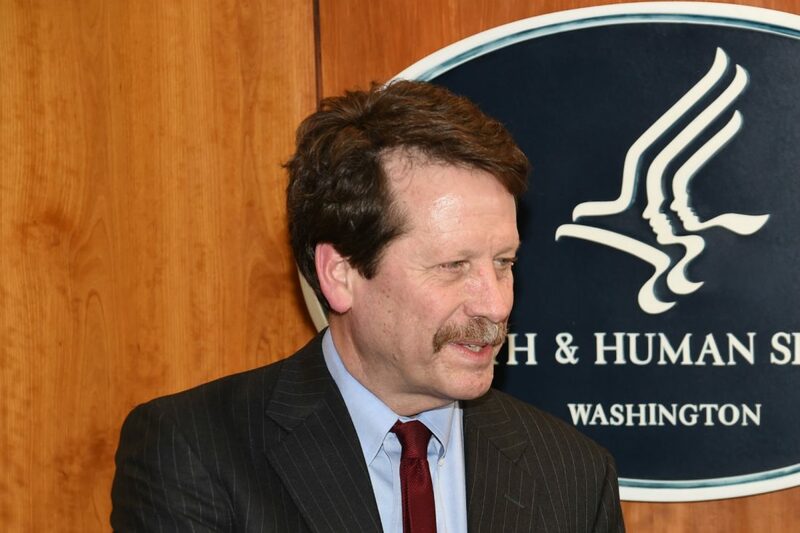 When asked if FDA is prepared to deal with the rapid incorporation of data and computation into health products, Califf said there’s a vast gray regulatory area between, for example, a defibrillator that uses “computation” to operate—“that needs to be a regulated device”—and measuring heart rate on your watch. “That’s a free for all,” Califf said. In between the two, however, the agency should keep a light hand on regulation, Califf said, only stepping in when problems occur. “And I predict that we will have problems,” he said.